Identified on select maps as the “Rough Trail,” this little-known hike through Glencarlyn Park in Arlington, Virginia (see here for more on the park) is aptly-named: it’s narrow, hard-to-follow, and plagued with fallen trees, roots, and brush. The upside is that the trail—unmarked in any way—is virtually empty, situated in a rarely-visited corner of Glencarlyn Park. 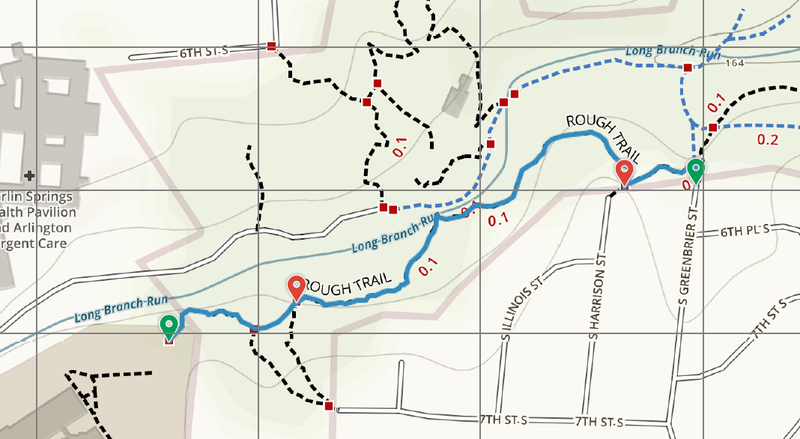 While possible to reach from the Long Branch Nature Center on the north bank of its namesake creek, residential South Greenbrier Street offers the best access point for the Rough Trail. Set your GPS for 641 South Greenbrier Street, Arlington, Virginia and park at the terminus of the dead-end drive. 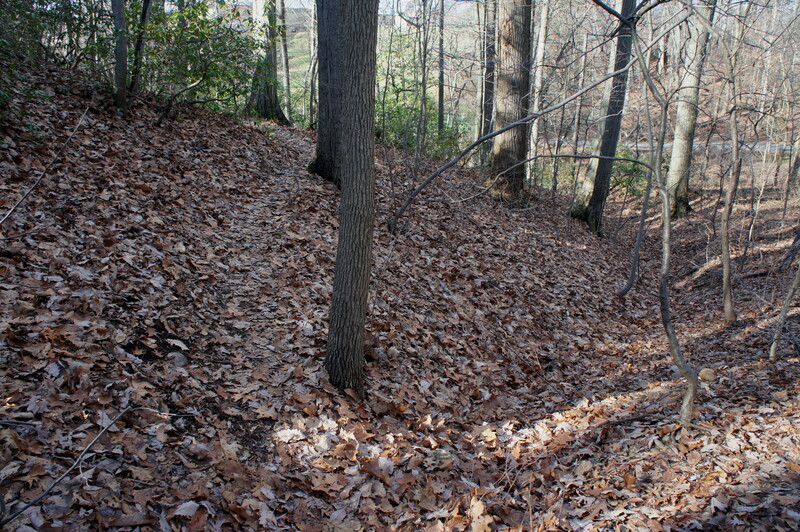 While a paved track leads down the hill to the north, the unpaved Rough Trail begins off to the left and immediately climbs a modest knoll. The first 50-75 yards are relatively straightforward, roughly following the houses on the left; a very short spur trail offers access to South Harrison Street. Stay right as the track descends in the direction of the stream valley below; here the trail encounters a number of fallen logs and brushy obstacles. 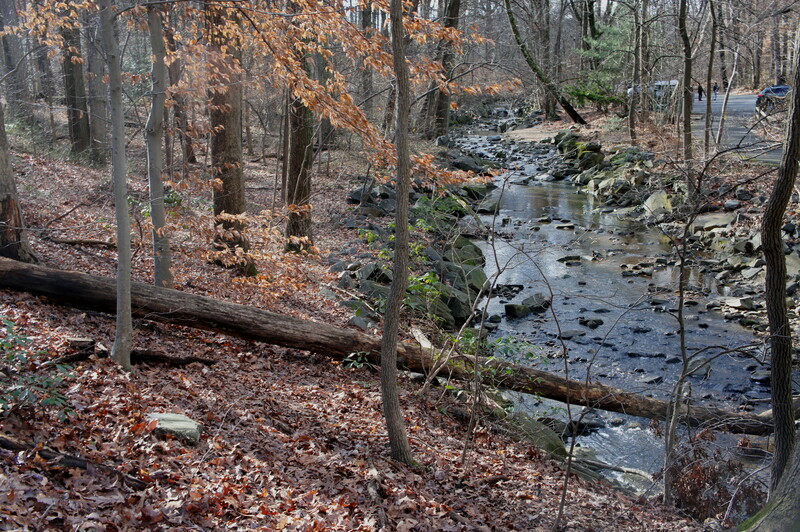 Within minutes the path is within striking distance of Long Branch, and the parking area for the Long Branch Nature Center is visible across the pretty stream. 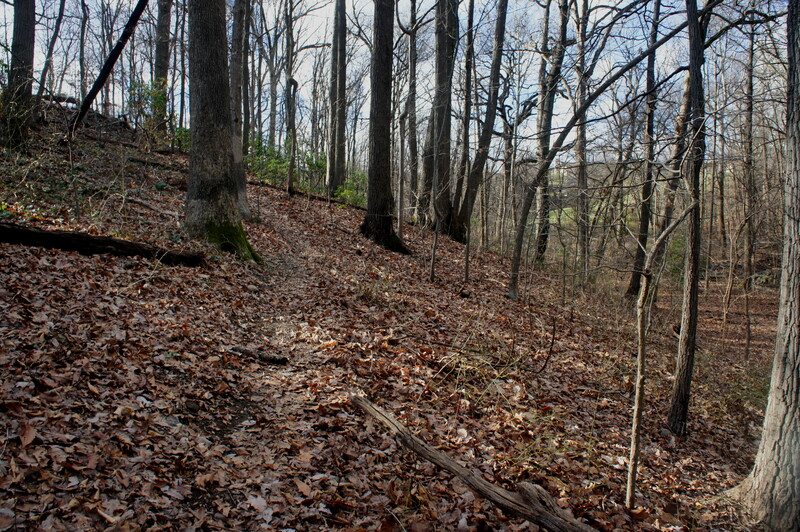 Before long, however, the trail leaves the creek side and ascends back up the hill. At this point, all but the most astute hikers are likely to lose the trail (at least in winter)—but wandering in a generally westward direction, the path reveals itself again in about 50 yards. A couple spur trails heading left provide access to 7th Street. By now the stream valley has widened significantly, and fencing ahead reveals that the end is near. About 1/3 mile from the start, the Rough Trail—by now relatively apparent—ascends to a break in the metal enclosure, ending at Campbell Elementary School. Turn around at this point, returning to South Greenbrier Street. 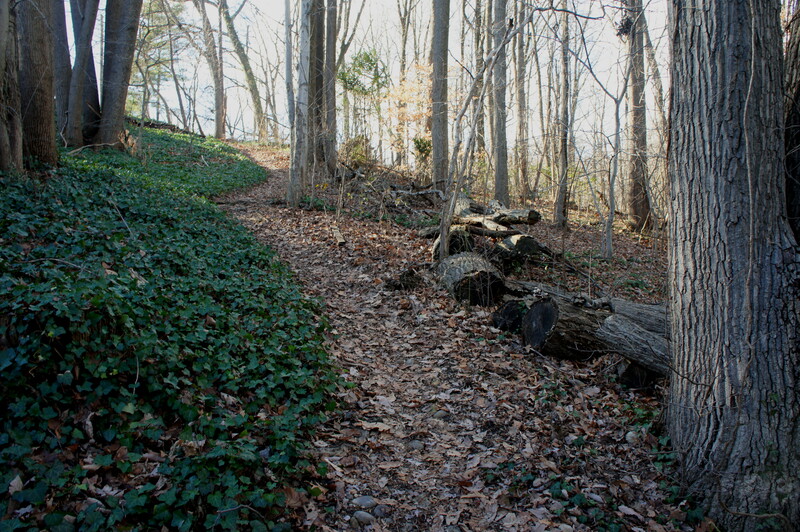 This entry was posted in Arlington County Parks, Moderate Hikes, Virginia and tagged Arlington, Glencarlyn Park, Long Branch, Rough Trail, Virginia. Bookmark the permalink. Glad you found it useful. Though I must admit, this one isn’t exactly one of NoVa’s finest…If you haven’t seen it already, check out the Trail Map page (https://liveandlethike.com/trail-map/) for some better options!